Home > Special Offers > Detailing > For a Great-Looking Vehicle! Keep your vehicle looking good! Dirt, debris, calcium and, so much more can damage your Volkswagen vehicle. Protect your vehicle by having it washed and protected with the best products available on the market. 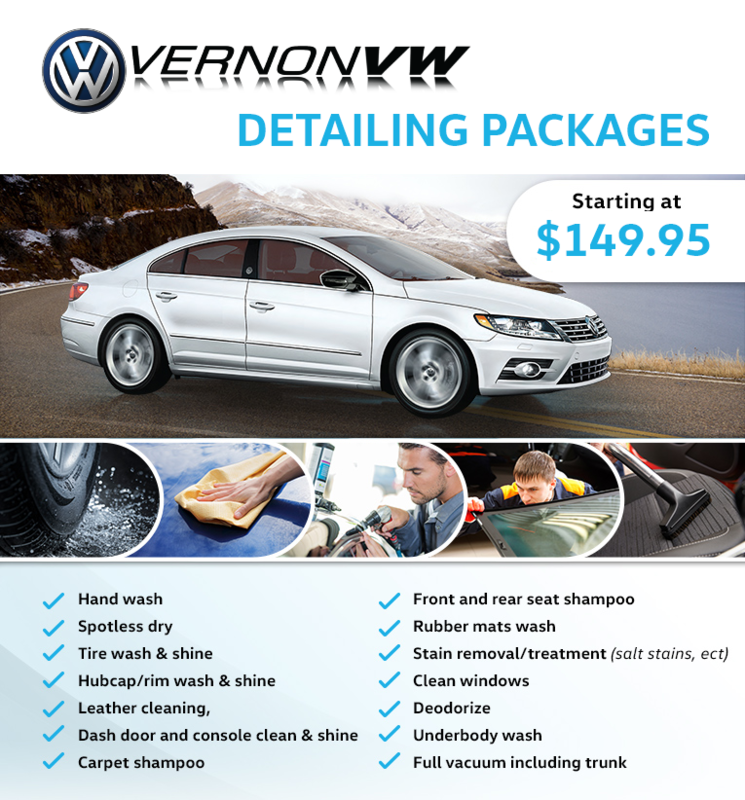 Vernon Volkswagen's detailing department will help keep your Volkswagen vehicle looking great for years to come! Visit us to check all our detailing packages starting from only $149.95!